If you love to cook, then you're sure to appreciate the fun message behind this Personalized Pot Holder! This Personalized Potholder measures 7 x 9. 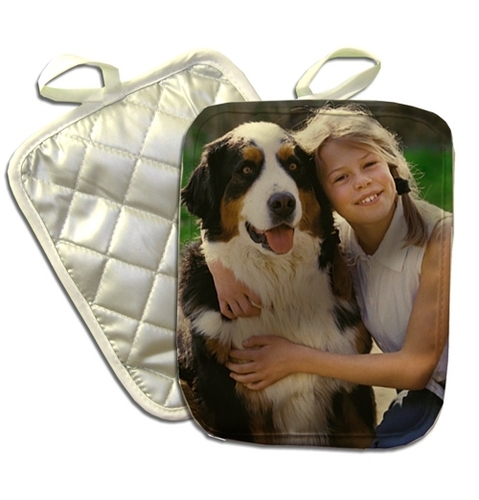 The quilted side of the hot pad is evenly filled with 100% Cotton and the reverse side printed with your favorite image. It includes a convenient cloth loop for easy hanging and is machine washable. Personalize it with any name as well of any two line custom message.